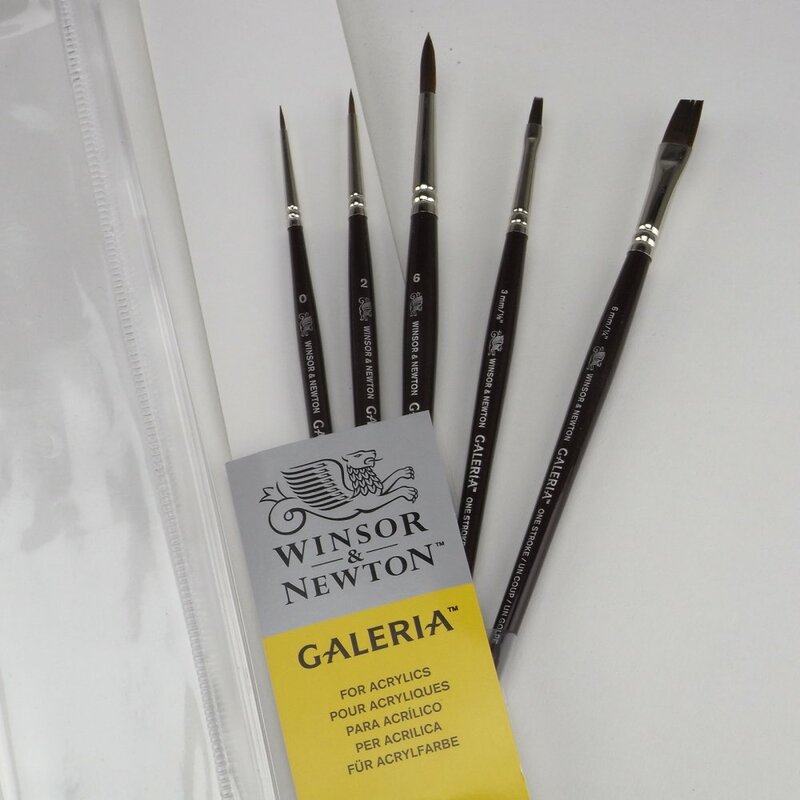 This Winsor & Newton short handle Galeria acrylic brush range is developed to complement all the Winsor & Newton acrylic paints. A unique blend of polyester filaments provides perfect control and responsiveness for the artist, and the brushes have seamless gold coloured nickel ferrules and polished dark brown wooden handles. The following Galeria artists' brushes are included: Round size 0, 2 and 6, One Stroke 1/8in and 1/4in.